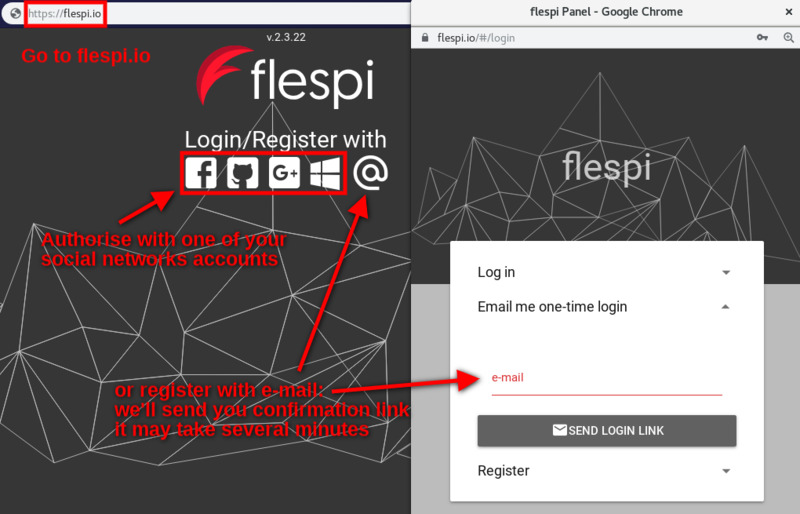 A short step-by-step intro to see flespi in action. Action: Go to https://flespi.io and create a free account by authorizing with one of the social networks or register via email. What’s behind: You can easily create free account powerful enough to create a working production solution. The account can be used as long as you need — no demo period or trial limitations. Action: Go to Channels section of the Telematics Hub tab, click on ‘+’ sign in the bottom right corner, fill in the new channel Name and check that the protocol id is “test”. Finally, click the Create button. What’s behind: Every manipulation with flespi can be done via API. 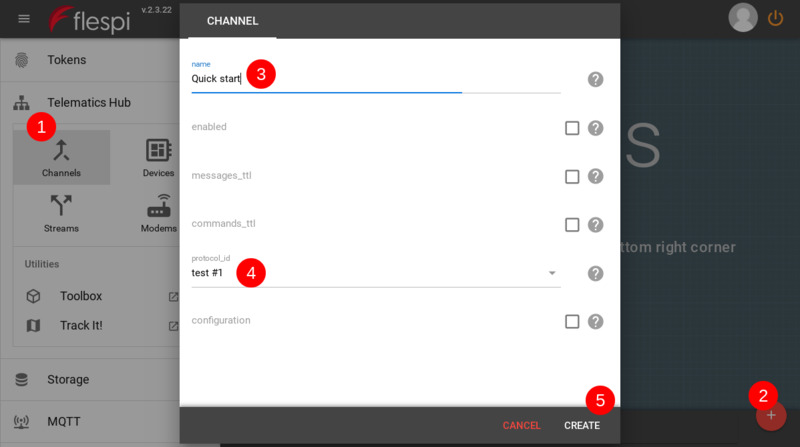 Channel can be created with this API call. Action: Open telnet connection to the IP and port specified in the channel’s card. What’s behind: Each channel has a unique IP and port. 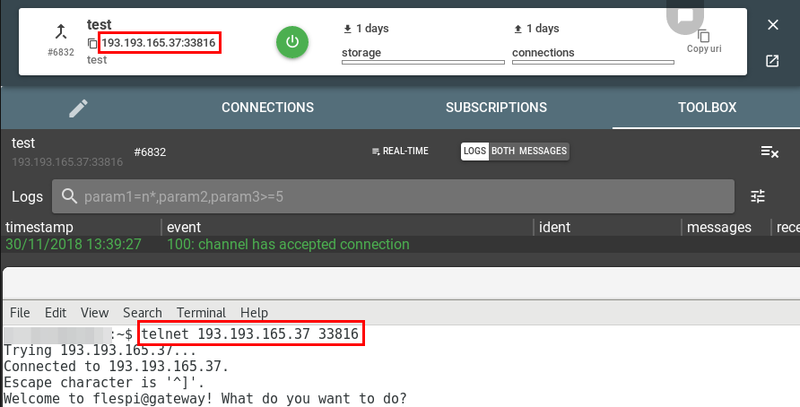 That gives you the power to debug and analyze each part of channel work: manage connections, see all logs, send commands to specified connections. Action: Test protocol provides several options. Send ‘1’ then set the device identification string. This emulates the initial package from a tracking device. Send ‘2’ then type JSON message to be sent to flespi. This emulates sending telemetry data. Open device toolbox to check the result. What’s behind: In the free account one channel can handle up to 1000 simultaneous connections. This was an emulation of sending telemetry data from a tracking device to flespi platform. The next step is to embed the unified data from flespi into your application with flespi API. This article shows the idea of how to automatically get messages from flespi.